Dead in the water. Stuck. Wanting to spill out you thoughts on a film you heard about, watched and then, hey everybody, this is good, it’s….ah,um….you’ve got someone you’d like to watch this film before you spoil it by explaining all. Who hasn’t had that sinking moment when you ask someone about film, only to realise the whole film is going to be recalled from prodigious memory for you, and there is no escape. Yes, seen it. Brilliant. And here is entire right down to the details of all the dialogue. 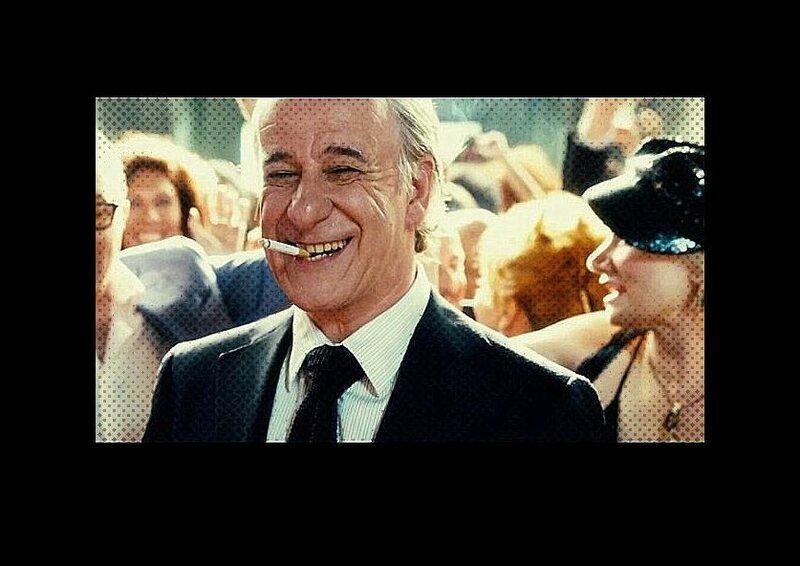 I’ve got the same problem with The Great Beauty directed by Paolo Sorrentino. What can I say? I’ve tried writing it through to see what can be said, ending up with half-written sentences stuttering to a halt well before reaching their destinations. I was even going to use a few Italian phrases heard in the film. No. There is no way round this except to say it’s termed an art-house film. It’s Italian. English sub-titles. It won the best Foreign Film Award at the Oscars last year. Must be worth watching for foreign film enthusiast. It is. Perhaps as a displacement activity to assuage the frustration : une petite idée de film. A man and a woman meet, fall in love. Have a relationship. Then it breaks up for reasons unknown to the audience. On show some bewilderment, anger, sadness, regret, etc. Hankies out. They both loved the movies and spent a lot of time watching them and talking about them. As one does. They both realise they can’t share anything about film anymore – no communicating at all. They spend a lot of time thinking and imagining what they would be choosing to see, where they would be doing it if still together. Shown by the usual – inevitable – tropes [cleverly masked as homages and satire on] of shots of couples going into movies, etc. Even plugging in DVDs, blubbing, et al. Little scene in which one or other, disconsolate but determined, goes to see a movie. Buys a ticket, stands in foyer with the milling crowd – then after a certain amount of wistfulness, walks back out onto the street. The upshot, to cut a short story shorter, is the means by each comes to terms with the loss of the film connection amongst the butterflies of lurv, and learns to live and love again. He of course has a film blog and finds he can’t write about films he wants her to see, so stalls, writes around the curly hedges, about production design or mise en scene, or even Godard being rude about actors, anything just to post with the film’s title on the heading. A marker for the future. A dog lifting it’s leg to a lamp post. Suddenly one day he finds he can write a bit more on films he has seen. But not a lot. He still can’t bring himself to write about the latest releases – he doesn’t want to be a dirty little spoiler. But he realises he can write about obscure art-house movies that no one would want to watch, or even the technicalities of film making like editing. reading this, helps to see a bit more clearly what Godard means about actors. He’s saying the same thing, except he says it in such as a way as to highlight his role as auteur. Ce film, c’est a moi! Tout a fait….mon Dieu….mais oui….c’est vrai….il est moi! Godard=cinema=Godard. And Hitch was in the Hollywood system for the most part i.e. not what would be considered an auteur. Hitch was in control of his projects in a way most Hollywood directors were not. I’ve not read it said he was an auteur in the way the New Wave directors were. Though Godard is greatly interested in him and his work. I need a day to tell the history of a second, a year to tell the history of a minute, a lifetime to tell the history of a day. ….a history of cinema and a history of the twentieth century, each inside the other. Histoire(s) du Cinéma 1988–98 is a powerful and visually stunning critique of cinema and its relationship to the other arts, as well as a reflexive analysis of the director’s life and work. Originally commissioned for European television, the production spans ten years and includes eight episodes (of a proposed ten) in four chapters. Undeniably a work of enormous scope, Jean-Luc Godard’s Histoires du cinéma eludes easy definition. An extended essay on cinema by means of cinema. A history of the cinema, and history interpreted by the cinema. An homage and a critique. An anecdotal autobiography, illuminated by Godard’s encyclopedic wit, extending the idiom established by JLG par JLG. An epic – and non-linear – poem. A freely associative essay. A vast multi-layered musical composition. Histoires du cinéma is all of these. It is above all, a work made by a man who loves and is fascinated by the world of film. Histoire(s) du cinéma is Jean-Luc Godard’s most devastating accomplishment as filmmaker/critic/artist/poet/historian. 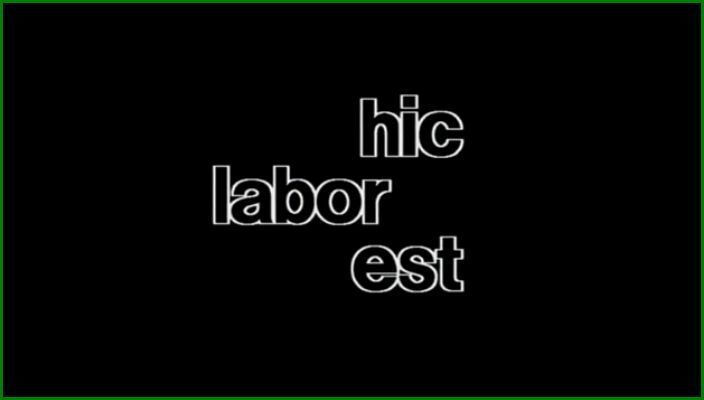 Produced over a period of ten years (1988-1998), Histoire(s) has been heralded as a work of tremendous significance to the practice of both cinema and history; most famously by Jonathan Rosenbaum, who declared it to be “the culmination of 20th century film-making” (1). Whilst not technically a film, Histoire(s) undoubtedly represents the ultimate labour of cinephilic love, an intensive audio-visual retrospective ruminating on the multiple incarnations of cinema, its vital intersections with 20th century history and ultimately, its immanent death, as projected by the medium’s most studied, critically devoted and playfully intellectual independent figure. For any one interested in film, Godard is important; for any one interested in Godard, Histories(s) is important. – lists the individual programmes and films mentioned. Open the graphic in another tab – it will be a easier to read. 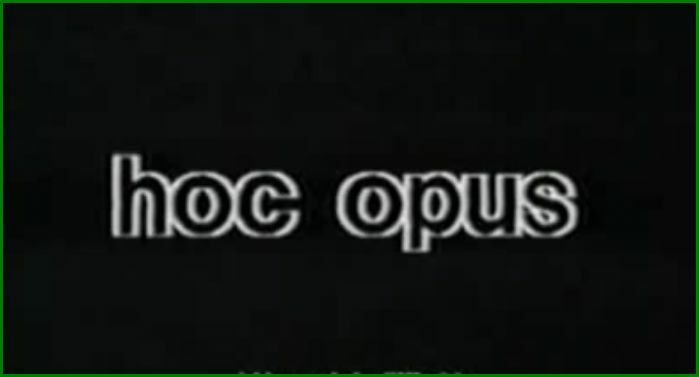 Despite the diffuse gesture of Histoire(s), it might be argued that its central motivation is to collapse the cinema from within by way of an exhaustive process of reflexive audio-visual evocation and deliberation, a post-cinematic montage that implicitly situates the cinema as an archive of a bygone era. 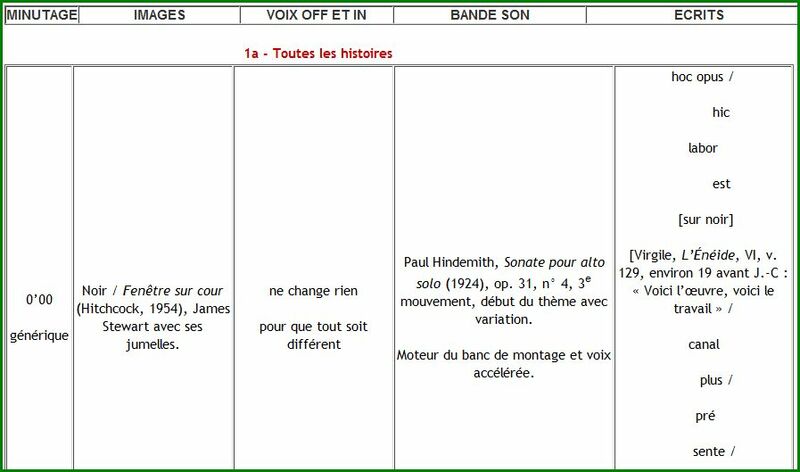 -Written in 1998 to mark the arrival of CD / book of Histoire[s] with audio of filmtext in German, French and English and a selelction of stills. The Histoire(s) are always everything at once: moving image, photography, catalogue of paintings, pixel mutation, music, noise, fragment of film sound, speaking voice, writing in the image, literature quarry, essay text. They are sensation and knowledge, information and emotion, theory and practice of the cinema, writing the history and telling the stories. The Histoire(s) are less and, at the same time, more than a Gesamtkunstwerk, because they were never intended to be “a totality” and never “only” an artwork. 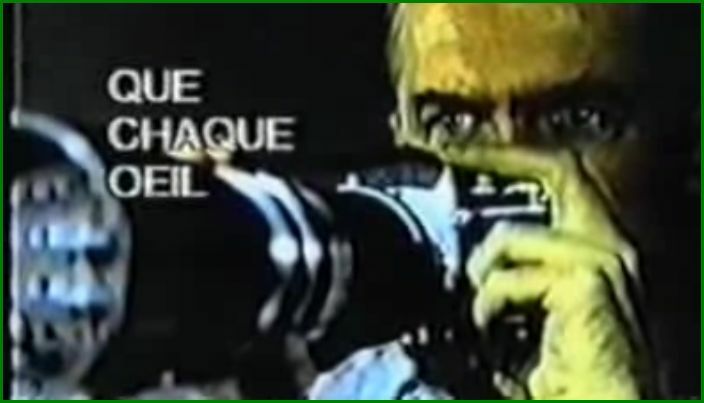 Histoire(s) du cinéma is a video project begun by Jean-Luc Godard in the late 1980s and completed in 1998. Histoire means both “history” and “story,” and the s in parentheses gives the possibility of a plural. Therefore, the phrase Histoire(s) du cinéma simultaneously means The History of Cinema, The Histories of Cinema, The Story of Cinema and The Stories of Cinema.Is an examination of the history of the concept of cinema and how it relates to the 20th century; in this sense, it can also be considered a critique of the 20th century and how it perceives itself. The project is considered the major work of the late period of Godard’s career; it is alternately described as an essay and a poem. If one wants to be up to the minute about cinema, there’s no cause to be concerned that Histoire[s] du cinéma has been in production for at least nine years — after having been sketched our rather differently, in the form of an illustrated lecture series given in Montreal, a decade prior to that. (2) After all, James Joyces Finnegans Wake, the artwork to which Histoire(s) du cinéma seems most comparable, written between 1922 and 1939, was first published in 1939, but if one read it for the first time this year, one would still be ahead of most people in literary matters. For just as Finnegans Wake figuratively situates itself at some theoretical stage after the end of the English language as we know it — from a vantage point where, inside Joyces richly multilingual, pun-filled babble, one can look back at the 20th century and ask oneself, What was the English language? Godards babbling magnum opus similarly projects itself into the future in order to ask, What was cinema? Morrey runs through Histoire[s] in detail as one would for a thesis. But quotes are in the original French, untranslated in footnotes. This is the second PhD linked to from the long list in Film Studies for Free. 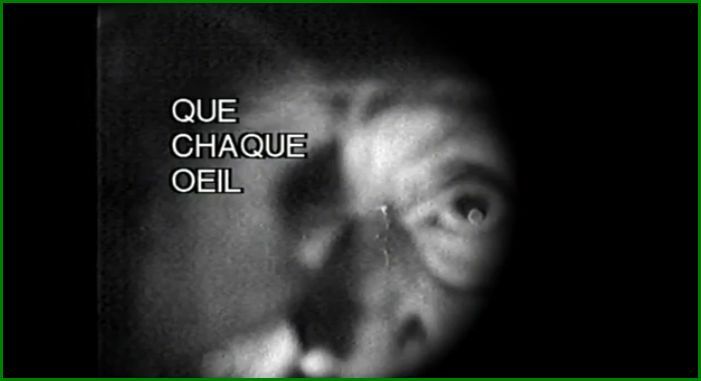 Godard’s argument in Histoire(s) du Cinema is this that, if montage granted a new way of seeing, it should also have led to a new way of thinking, yet somehow failed to do so. GoogleBooks, Jean-Luc Godard , from A Manchester University Press series, French Film Directors, and an essay, Bodies that Matter, reviewing a book of essays, Carnal Thoughts: Embodiment and Moving Image Culture by Vivian Sobchack . Tony McKibbin in Experimental Conversations, Cork Film Centre’s Online Journal: The Butterfly Effect: High Mimetics in Godard’s Histoire[s] du Cinema. As Nicole Brenez astutely noted in her contribution to a piece called ‘Movie Mutations’, printed in Film Quarterly and elsewhere, “the death of cinema merely represented a grand melancholy theme that certain filmmakers needed in order to make their films”. Perhaps this is true of no film more than Histoire(s) du cinéma. But does its death not give birth to poetry, perhaps rather like a caterpillar that turns into a butterfly? Introduction à une véritable histoire du cinéma: lectures given by Godard at Montreal Film School before Histoire[s] was completed. Post from Brandon’s Movie Memories. Brief comments on chapters 1-4 under headings, with a beautiful still in each which help to remind us that films are primarily about the excitment of the visual. And yet Godard’s Histoire[s] is loaded with words! …..the progression of Godard’s anti-American rage has the all the overextended illogic of a scorned lover. In his six-hour series Histoire(s) du Cinéma, completed throughout the 90s, he proposed his thesis that cinematic history be divided into two periods: pre-1945, when the art form was honest; and post-1945, when America (and by proxy Hollywood) became the arbiter of cultural taste, subsequently squandering the opportunity to address the concentration camps in an aesthetically honest way. For Godard, no movie properly addressed Auschwitz when it was most necessary, and therefore the art form was doomed. – Explains Ranciere of Godard in part. The French film critic Serge Daney plays a part in Histoire[s] and has written about Godard in general. There are a few translations into English such as this selection, The Godard paradox, taken from the Book Forever Godard. Blog: Serge Daney in English. Jean-Luc Godard’s Myspace page has a many Godard photographs and Craig Keller’s essay on Godard originally in Senses of Cinema. Although dealing with a specific other Godard film, this adds to our understanding of what we have with Histoire[s]. Awfully set out, old-fashioned mixed font, mixed colour pages the way How to Design Good Website manuals say not to do it, but there is simply explained basics in there. – 19 page .pdf, arguing Godard’s take is arrogantly Euro-centric. Others have said the same thing. He also dismisses British film. Jean Luc-Godard page in They Shoot Pictures, Don’t Thye? Rod Stoneman in Kinema relates his collaboration with Godard and Anne-Miéville in the making ofA Soft Conversation between Two Friends on a Hard Subject (1985), a film commissioned by CH4, in which he quotes some of the dialogue (Mieville comparing his work and approach to hers, for example) and shows how ideas in Histoires[s] were already there. But more importantly describes Godard’s imperatives and a little bit about the man himself. The director himself has suggested that every cut is a lie; Godard’s approach, then, is the continual juxtaposition and superimposition of “lies” in an ongoing search for truth. Thus, Moments mimics the workings of its creator’s mind: one thought, one reference leads inexorably to others, sight and sound mirroring the inherently questioning nature of the human soul. when speaking of television’s detrimental effects on cinema, Godard lives down to the disheveled old fuddy-duddy persona that he physically embodies on-screen. Making grand pronouncements from his back-alley soapbox, the director panders to the death-of-cinema acolytes, those faddish doomsday prophets who latched onto the kernel of a good idea (for television has certainly had its adverse effects) and perverted it into an infallible truth of Leviticus. 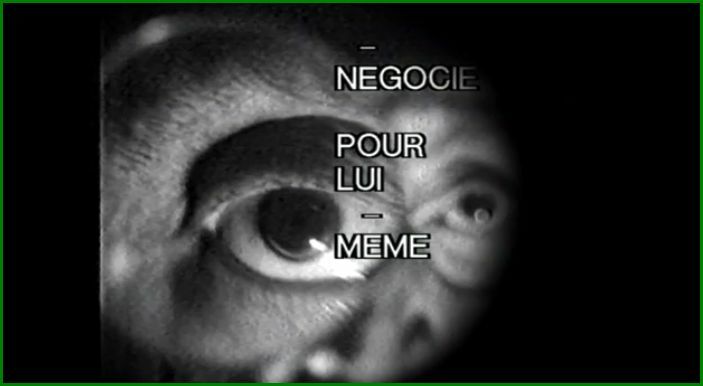 There have been dissenting voices from the beginning of Godard’s career as a film-maker, as exemplified by the ‘statement’, The Role of Godard, issued by The Situationist International in 1966. Clearly they hadn’t got the whole of his film and video oeuvre at that time, but you get the idea with such phrases as “…the Club Med of modern thought”. The movie sequences og these 8 frames that are mentioned in the post can be played from here.